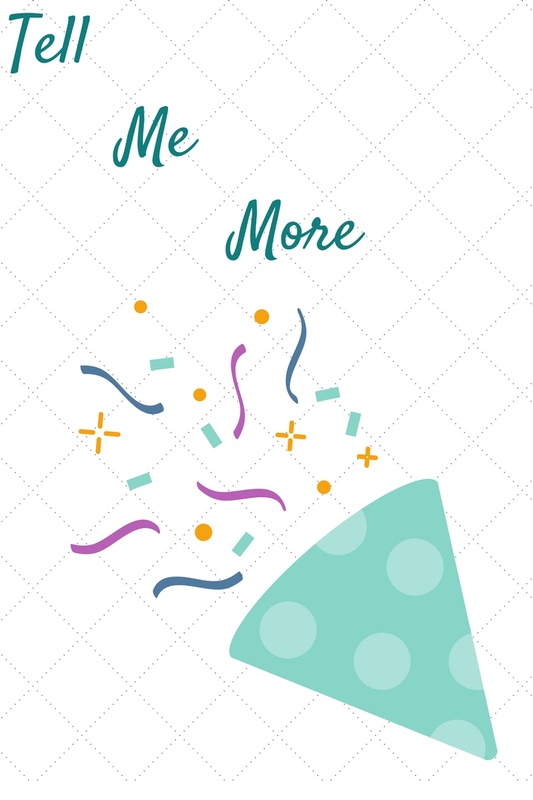 Quilting friends who met in the 2017 New Quilt Bloggers group launched a succesful QAL last year – I Wish You a Merry QAL. We decided to continue and in so doing, branded ourselves Partners in Design. 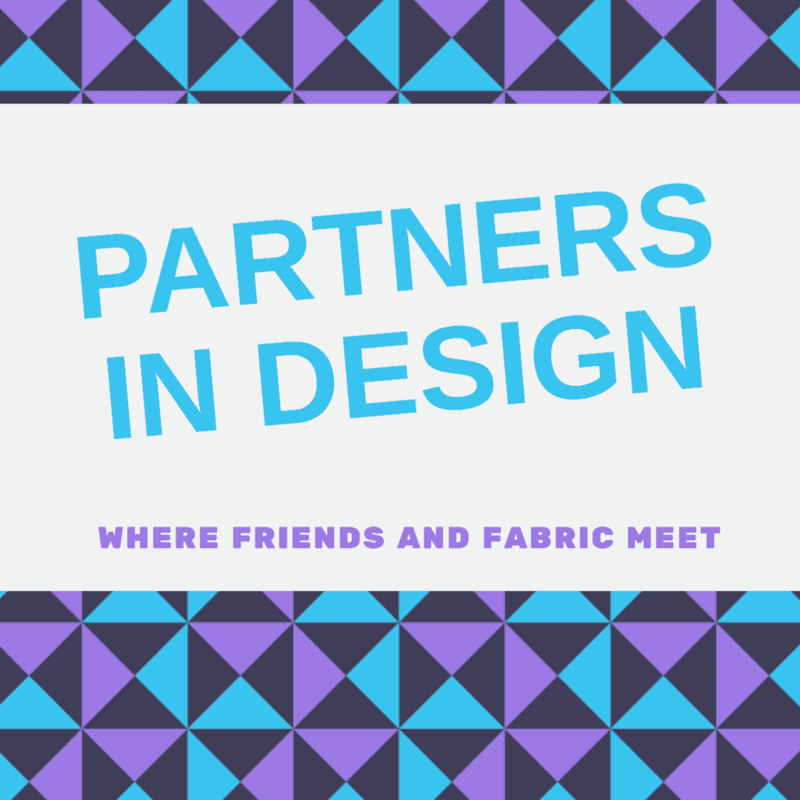 We design in many ways – some design the blocks, some their quilts and others just are generally helpful. Many of the designers who participated last year are participating this year. Introducing our new theme: Fall! Like last year, you will get directions for 12 blocks and some possible settings. The block designers are listed below with the weeks their blocks are released and also if they are a host or not. WHO? Anyone who can sew! 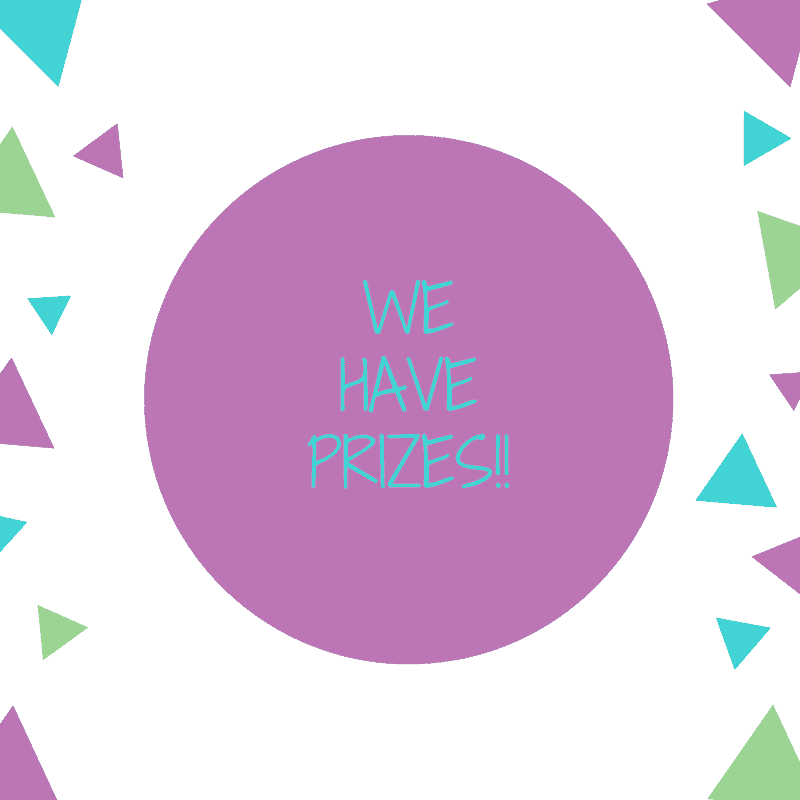 Below are some of the prizes that will be awarded (open to international quilters too!). Blocks and prizes for the particular block are announced at the same time. 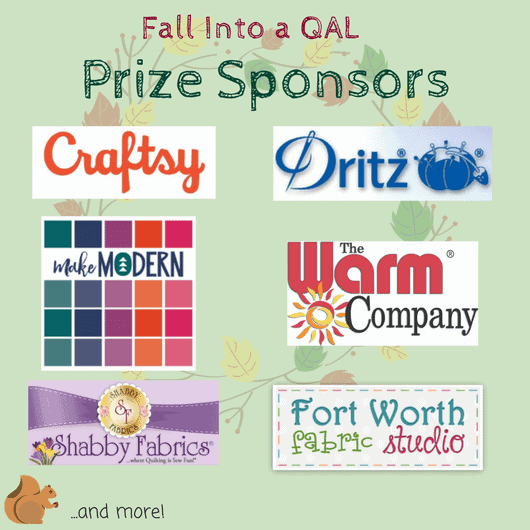 As with many of the QALs (quilt alongs) more prizes are often added as we go. Each block will have its own prize and then a Grand Prize for a quilt that is complete (all 12 blocks – top only is fine). To keep the contest portion of the quilt-along fair and fun for everyone, only quilts that use all of the designers’ blocks will be eligible for prizes. Slight variations are okay, but substituting another block will disqualify you from the giveaway. Can't wait to see what you do, Kathleen! It looks like there will be some great prizes, too. I think it will be interesting, I went simpler in one way, but also gave a more complicated option. I think some of the prizes will be great too. Thanks for your support. I can't wait for it to begin! It was so much fun last year! I know, I may just decide to sew along….but I do have enough on my plate but the blocks are so much fun! Thanks, Abbie. I need to add something to break up the wordy-ness. Now to see if I can figure out the spacing problem. Love your x block quilt!